Now that it’s March, spring can be felt in the air. Warmer weather and sunnier days are on the horizon, which means that it’s time to begin working on your spring cleaning. With your spring cleaning, you’ll give your home and life a fresh start. This general cleaning can help you get organized and feel ready to face a new season while also getting rid of that stagnant feel in the house that inevitably comes after being closed up all winter. Challenge your family to complete their respective cleaning tasks within a certain amount of time. While one family member dusts, another can clean out the refrigerator while another person sweeps and mops the floors. Set a timer when you start and see if you can finish in 30 minutes. Whoever finishes first helps the others complete their tasks. If everyone finishes within the allotted amount of time, offer a treat such as a movie night, new notebook, an allowance bonus, choice on what to have for dinner, or something else that everyone will enjoy. There’s no reason for cleaning to be boring. Make a playlist of your favorite upbeat music together and crank up the stereo during cleaning time. If everyone’s working together at the same time, the productive mood will encourage everyone to work hard. Consider turning your cleaning project into a real party by offering healthy snacks to your busy workers as they clean. After a long day (or two!) of spring cleaning, decluttering and organizing, your family deserves a treat! Why not celebrate the completion of this project with something special? Whether you decide to hold a family pizza party, go out to eat, spend a day at an amusement park, go on a mini-vacation or simply enjoy a movie night with popcorn, your family will appreciate the reward. You can make it feel extra special by handing out invitations to your family members for the celebration. Let your family know before you start your spring cleaning how you’ll celebrate. This will boost everyone’s motivation to pitch in and do a good job. After all, you can only celebrate once the job’s been completed. Especially the youngest children will love this approach. When planning your spring cleaning, take your children around the house with you and mark down all of the areas that need to be cleaned. Encourage your children to inspect the floors, windows and walls for stains, dust, dirt and clutter so that you can mark down each area that requires cleaning. This way, your kids will also know what to look for while they’re helping you clean. Once you’ve completed the spring cleaning, have your kids inspect the house one last time to make sure that all of the tasks have been completed and no more dirt or dust is to be found. With their approval, you can celebrate the completion of spring cleaning. Part of a good spring cleaning plan will include decluttering. Have your kids clean out clothes that no longer fit them, toys and sports equipment they no longer use and any other items. You can also clean out your closet, bookshelves and desk. You’ll find that many of the items your family wants to get rid of are still in good condition. Help others by donating these items to a local thrift shop or charity. This can be a motivating factor for your family, as it always feels great to help others. Remind your kids that by giving gently used items to charity, the organization can use the funds from a thrift sale to support homeless shelters, soup kitchens and more. In order to make your home cleaning project a success, you’ll have to organize it well. In addition to using the fun tips above that will motivate your family to work with you, you’ll also need to do some planning. Who will do what? When will the cleaning happen? What tasks must be included as part of your spring cleaning? Luckily, the Picniic app is here to help you. Make lists and assign tasks through our to-do list feature. This way, it will be very clear what each member of your family needs to do and when it needs to be done. You can also add cleaning supplies to your grocery list on Picniic, keeping everything you need organized and easy to keep track of. As far as planning your cleaning dates, a good thing to keep in mind is your children’s spring break. 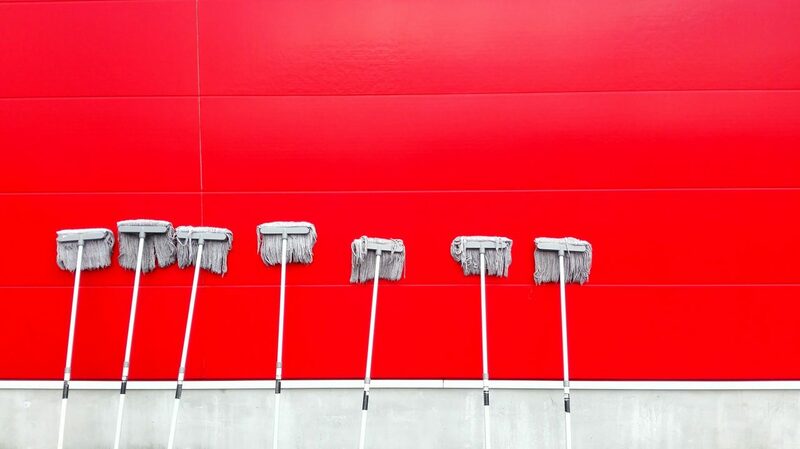 You can take advantage of one of their days off for cleaning. It’s best if you do this on one of their first days at home. Then, use one of the other days to celebrate your accomplishments and enjoy the holiday. It always feels best to rest and relax once responsibilities have been completed. Mark the dates in Picniic’s calendar so that no one will forget about your cleaning plans. With your spring cleaning accomplished, the whole family will feel organized and ready to take on the upcoming season. Rather than forcing everyone into compliance, try to make the project fun and give your recruits the motivation they need to do a great job. There’s nothing that equals the peace and order that a clean, organized house brings. Get started on planning your spring cleaning today! Do you have a favorite trick to get your whole family on board with spring cleaning? Tell us about it in the comments below!